has been so convicted having been cleared of the offence by a previous court. This is in breach of the double jeopardy rules which Iran has signed up to. Iran is one of the worlds major executioners of its citizens after China. If you can find time to write or email that would be appreciated. Read our latest monthly death penalty report. This is an urgent action for someone who was accused and tried as a juvenile (aged 15 at the time of the alleged murder) and who is now due to be executed on 10 May. He was held in solitary confinement during his confinement and says he was beaten during his time in prison. Salar Shadizadi has been sentenced to death for a second time and is now in solitary confinement. He was 15 at the time he committed the crime and it is contrary to the Iran penal code to execute minors. Please write if you can. Himan Uraminejad has been warned by prison officials that he is at risk of execution as Iran’s Head of Judiciary has approved the implementation of his death sentence. He has been on death row since 2012 for a crime committed when he was 17 years old. Amnesty International has learnt on 21 November that Himan Uraminejad, aged 22, was informed by prison officials on 6 October that the Head of Judiciary had approved the implementation of his death sentence and his family should intensify their efforts to seek a pardon from the family of the deceased because his execution could be carried out at any moment. He was sentenced to death in August 2012 after a criminal court in Kurdistan Province convicted him of murder over the fatal stabbing of a boy during a group fight. He was 17 years old at the time of the crime. 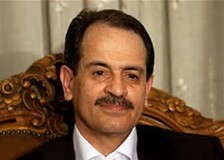 In September 2014, the Supreme Court quashed his death sentence and granted him a retrial, based on new juvenile sentencing provisions in Iran’s 2013 Islamic Penal Code. In June 2015, however, he was sentenced to death again. The criminal court presiding over his retrial referred to an official medical opinion that found “no evidence of a disorder at the time of the crime that would remove criminal liability”. The court also referred to Himan Uraminejad’s statements that he had no “mental illness or history of hospitalization” and understood killing someone was “religiously forbidden” (haram). The Supreme Court upheld the death sentence in November 2015 and rejected a subsequent request for retrial. Himan Uraminejad (pictured, left) was sentenced after a grossly unfair trial that relied on evidence obtained through torture. He was arrested on 22 April 2012 when he was 17 years old. He was subsequently transferred to an undisclosed detention centre where he was held for 20 days, without access to his family and lawyer. He has said that during this period, he was tortured, including by repeated beatings that left scars and bruises all over his face and body, and suspension from the ceiling by a rope tied to his feet. He has said that police also raped him with an object shaped like an egg, threatened to cut off his testicles and walked over his body with boots. Himan Uraminejad’s trial was held before an adult court, without special juvenile justice protections. The court ordered no investigation into his allegations of torture.  – Immediately establish an official moratorium on executions with a view to abolishing the death penalty. Please check with your section office if sending appeals after the above date. This is the first update of UA 72/16. The minimum age of criminal responsibility in Iran is set at nine lunar years for girls and 15 lunar years for boys. From this age, a child who is convicted of murder or crimes that fall in the category of hodud (offences that carry inalterable punishments prescribed by Shari’a law) is generally convicted and sentenced in the same way as an adult. However, since the adoption of the 2013 Islamic Penal Code, judges have been given discretion not to sentence juvenile offenders to death if they determine that juvenile offenders did not understand the nature of the crime or its consequences, or their “mental maturity” is in doubt. The criteria for assessing “mental growth and maturity” are unclear and arbitrary. As illustrated by the case of Himan Uraminejad, judges often conflate the issue of lesser culpability of juveniles because of their lack of maturity with the diminished responsibility of people with mental illness, concluding that the juvenile offender was not “afflicted with insanity” or was “in a healthy mental state”, and therefore deserved the death penalty. Sometimes, judges focus exclusively on whether the juvenile could tell that it is wrong to kill a human being, and disregard interdisciplinary social science studies on the relationship between adolescence and crime, including neuroscientific findings on brain maturity, which have informed juvenile justice principles considering juveniles less culpable than adults due to their developmental immaturity and cognitive limitations (see Growing up on death row: The death penalty and juvenile offenders in Iran, https://www.amnesty.org/en/documents/mde13/3112/2016/en/). As a state party to the Convention on the Rights of the Child (CRC), Iran is legally obliged to treat everyone under the age of 18 as a child. This is different from the minimum age of criminal responsibility, which is the age below which children are deemed not to have the capacity to break the law. This age varies between countries, but it must be no lower than 12 years, according to the UN Committee on the Rights of the Child. People who have broken the law who are above the minimum age of criminal responsibility, but under 18, may be considered criminally responsible, prosecuted, tried and punished. However, they should never be subjected to the death penalty or life imprisonment without the possibility of release. The UN Committee on the Rights of the Child reviewed Iran’s implementation of the CRC in January 2016. The Committee’s Concluding Observations expressed “serious concern” that the exemption of juvenile offenders from the death penalty is “under full discretion of judges who are allowed, but not mandated to seek forensic expert opinion and that several persons have been resentenced to death following such retrials”. Beside Himan Uraminejad, Amnesty International is aware of several other cases, including Salar Shadizadi, Hamid Ahmadi and Sajad Sanjari, who have been retried, found to have sufficient “mental maturity” at the time of the crime and sentenced to death again. Amnesty International is also aware of at least 15 juvenile offenders who have been sentenced to death for the first time since the adoption of the 2013 Islamic Penal Code. Amnesty International has recorded at least 75 executions of juvenile offenders between 2005 and 2016, including two in 2016. One of them was Hassan Afshar, who was hanged in July. Iran’s lack of transparency on its use of the death penalty means that the total number of executions of juvenile offenders could be much higher. According to a UN report issued in 2014, at least 160 juvenile offenders are now on death row. Amnesty International has been able to identify the names of 78 of these juvenile offenders. Some of them have been on death row for over a decade and are either unaware of their right to seek a retrial based on the new provisions of the 2013 Islamic Penal Code or do not have the means to retain a lawyer to seek it for them. The Head of the Judiciary must provide a type of approval known as estizan in all cases where the death penalty has been imposed under the Islamic principle of “retribution-in-kind” (qesas) before the sentence can be implemented. WE WANT TO HEAR FROM YOU! Please let us know if you have taken action on this case. You can either include us – iar@amnesty.org.uk – in the email you send to the authorities or send us a separate email if you’ve sent your appeal by post or fax. Tell us any way you like! All we need to know if that you’ve sent an appeal and the UA number – which is at the top of each email. Thank you. You can view all UAs on our website here. There has been a world wide campaign to stop the Iranian authorities from executing Zeinab Lokran. By standing up to the Iranian authorities, you have helped to keep 22-year-old Zeinab alive. Thank you for defending her right to life. Her execution, which was scheduled to go ahead as early as 13 October is no longer imminent. Zeinab now has a new lawyer working on her case. Together they will submit an application for a retrial – which is Zeinab’s right under Article 91 of Iran’s Islamic Penal Code. Woman at risk of execution in Iran. Horrific case. We attach an urgent action concerning a woman, Zeinab Sekaanvand Lokran in Iran who is at imminent risk of execution. The story – which we hope you will find time to read – is pretty horrific involving torture and a stillborn child. If you can write or email that would be appreciated. She confessed to murdering her abusive husband, was denied access to a lawyer, beaten in a police station until she confessed and then lost her child due to shock. She has received no treatment or help after her miscarriage. 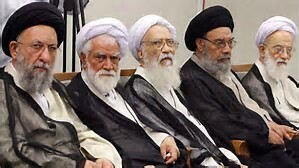 Iran, in addition to its position as the world’s number two country after China for the execution of its citizens, also executes individuals who were minors at the time of their alleged offences. Our colleagues in New Zealand have been doing sterling work on this and the link below will take you to a petition on their site. Children as young as nine can be caught in policy. International protest is slowly having an effect. There are facts and background information on the link. We hope you will spare a few moments to sign it.